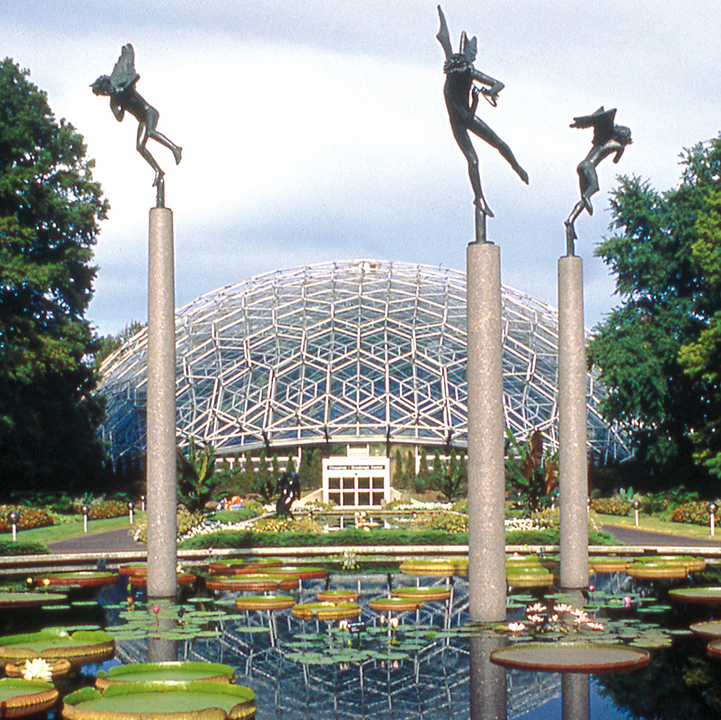 More than 2,800 plants grow inside the Climatron at the Missouri Botanical Garden. Treat out-of-town holiday guests to a walk through the Climatron® at the Missouri Botanical Garden. The Climatron is the first geodesic dome to be used as a conservatory, incorporating the principles of R. Buckminster Fuller, inventor of the geodesic system. The Climatron opened to the public on October 1, 1960. The Climatron has no interior support and no columns from floor to ceiling, allowing more light and space per square foot for plants than conventional designs. It rises 70 feet in the center, spans 175 feet in diameter at the base, has 1.3 million cubic feet and encloses approximately 24,000 square feet. 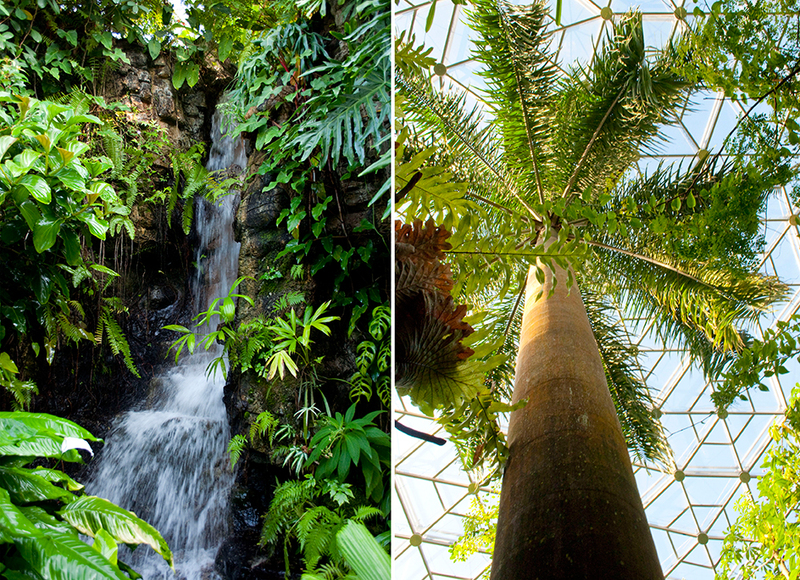 The interior of the Climatron is designed on a tropical-rainforest theme, highlighting diversity and ecology. Visitors enter and immediately experience the tropics: dense green foliage, a small native hut, sparkling waterfalls, rocky cliffs, a river aquarium with exotic fish and a bridge from which the forest canopy and associated plants can be viewed. More than 2,800 plants, including 1,400 different tropical species, grow inside the Climatron. They include banana, cacao, coffee, many wild-collected plants, colorful orchids and exotic, rare plants such as the double coconut, which produces the largest seed in the plant kingdom. A large collection of cycads, primitive gymnosperms with massive, divided leaves, are also on display. Several pools and waterfalls give a sense of lushness, as if visitors were within a true tropical rainforest. The Climatron is an ever-changing, impressive display all year long.